The Conference brought together representatives of social policies and welfare and employment officials from the relevant authorities in OIC Member Countries, namely, Afghanistan, Albania, Azerbaijan, Bahrain, Bangladesh, Burkina Faso, Cameroon, Djibouti, Gambia, Ivory Coast, Jordan, Mauritania, Morocco, Oman, Senegal, Somalia, Sudan, Tunisia, Turkey and Uganda in order to provide an opportunity for the relevant institutions to introduce current state, challenges and improvements of disabled employment in their respective countries. The Meeting commenced with recitation from the Holy Quran by Qari Ibrahim Altuntaş, disabled muezzin of Sultanahmet Mosque, followed by welcome addresses by H.E. Mrs. Fatma Betül Sayan Kaya, Minister of the Family and Social Policies of the Republic of Turkey; Ambassador Musa Kulaklıkaya, Director General of SESRIC; Dr. Fadile Grine, Director of Family & Social Affairs Department at OIC General Secretariat; Mr. Enes Polat, Deputy President, State Employment Agency of the Republic of Turkey and Mr. Mehmet Ali Özkan, Deputy General Director, Public Employment Agency of the Republic of Turkey. H.E. 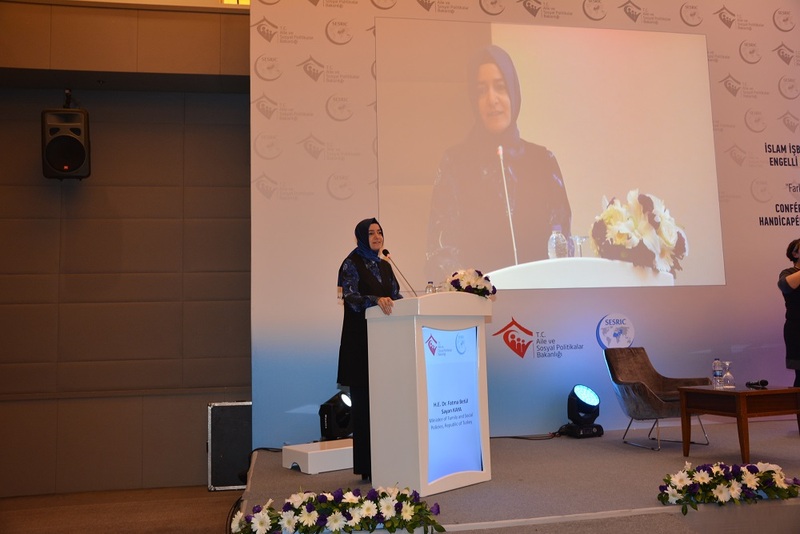 Mrs. Fatma Betül Sayan Kaya, Minister of the Family and Social Policies, by emphasizing the applications of disabled employment and entrepreneurship, stated that human being is the subject of sustainable development and success in economies is totally depends on having skilled manpower in all the social, political and cultural spheres. H.E. Mrs. Kaya mentioned that considering the five million disabled citizens with disabilities in Turkey, the two most important issues are education and employment. H.E. 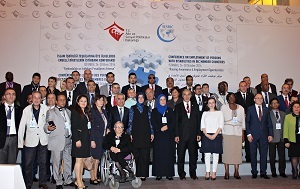 the Minister also stated that between the years 2016-2018, holding the rotating presidency of the Organisation of Islamic Cooperation with 57 members, Turkey would pursue to develop mutual cooperation in the field of social policy through sharing knowledge and best practices, and collaboratively initiating new projects and programmes. 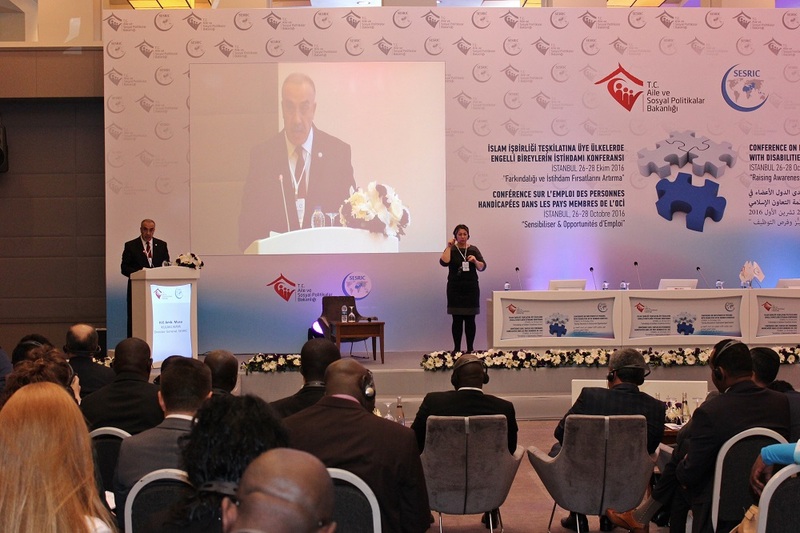 Ambassador Musa Kulaklıkaya, Director General of SESRIC, indicated in his address that majority of the people with disabilities around the world do not have equal access to health care, education and employment opportunities, and they do not get the needed disability services. Amb. Kulaklıkaya stated that disabled people experience exclusion from everyday life activities and even with the degree of the issue, awareness and the technical information on disability matters are lacking enormously. The Director General also mentioned that we convene the first meeting with the respected representatives of social policies and welfare and employment officials from the relevant authorities in OIC Member Countries, as well as international organisations and civil society in order to provide the right environment for people with disabilities in the labour market through various types of activities, initiatives, projects and programmes. 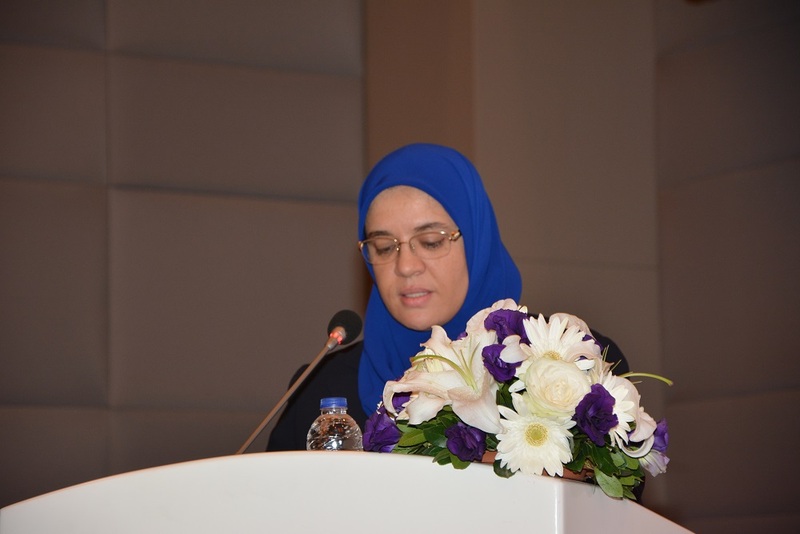 Dr. Fadile Grine, Director of Family & Social Affairs Department at OIC General Secretariat, highlighting the importance of people with special needs for all OIC community, stated that the efforts in the area are very vital and she would like to thank from the hearth to SESRIC and the Ministry of the Family and Social Policies of Republic of Turkey for organising such a meaningful conference. Mentioning the Islamic culture voices primarily human at the centre, Dr. Grine continued that “we should see these people as genuine as Muslims and I regret to see that disabled people are inferior and we have no other choice but to integrate these people into society.” Dr. Grine made a call for a meeting in 2017 for older people with special needs and reiterated the commitment of the OIC General Secretariat on this issue and emphasized that they will continue to work on this issue. 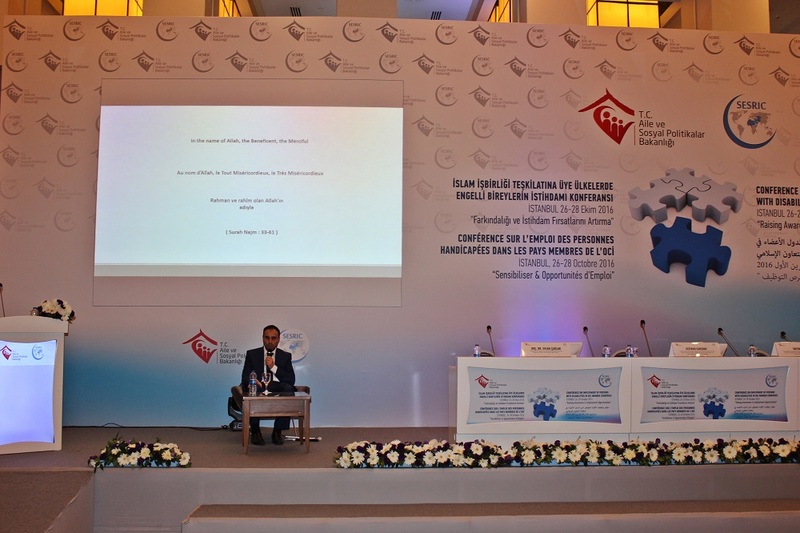 Mr. Enes Polat, Deputy President, State Employment Agency of the Republic of Turkey, mentioning the important developments in disability employment within the last fifteen years in Turkey, informed the conference on the implementation of certain disabled employment quotas in public and private sectors. 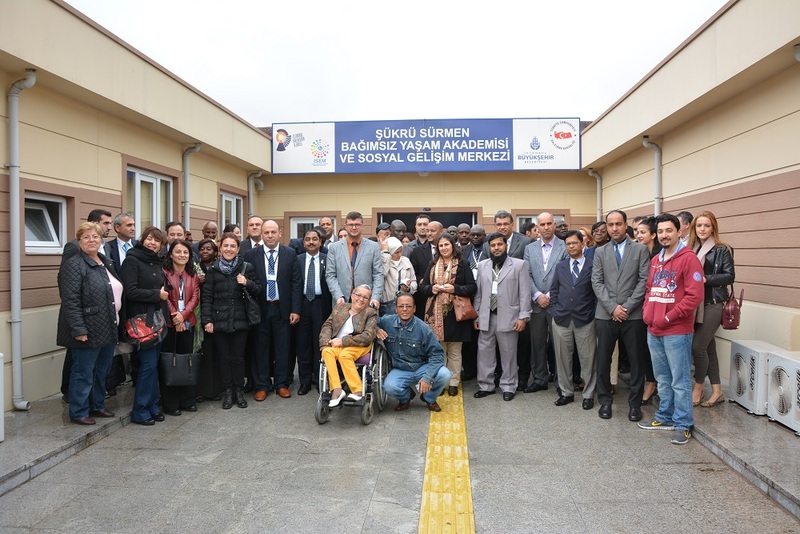 Mr. Polat also stated that State Employment Agency in cooperation with the Student Selection and Placement Centre Presidency (OSYM) of the Republic of Turkey, founded the general examination system for people with special needs first time in the world in the area of disability employment. During the six plenary sessions of the Conference, the country representatives shared information about the policies and strategies, as well as past and continuing programs and projects of their institutions in addressing the challenges of the unemployment of people with special needs in their respective countries. 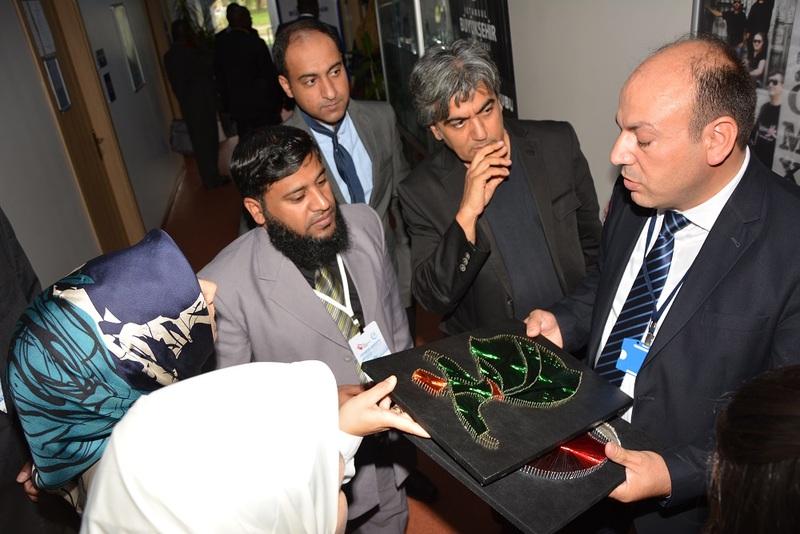 Country representatives also acknowledged the need for the provision of international integrated efforts in OIC community to facilitate and harness decent work environment for people with special needs. 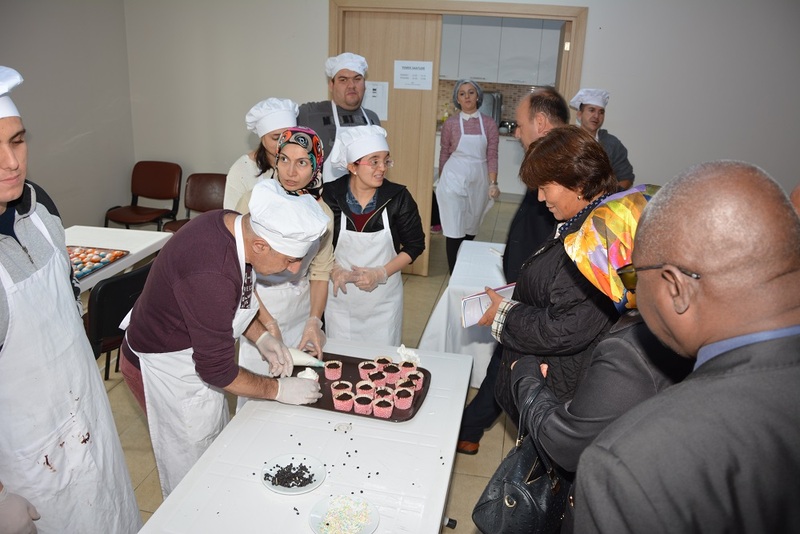 The country representatives also made a study visit to the Social Development Centre of the Metropolitan Municipality of Istanbul in the second day of the conference. 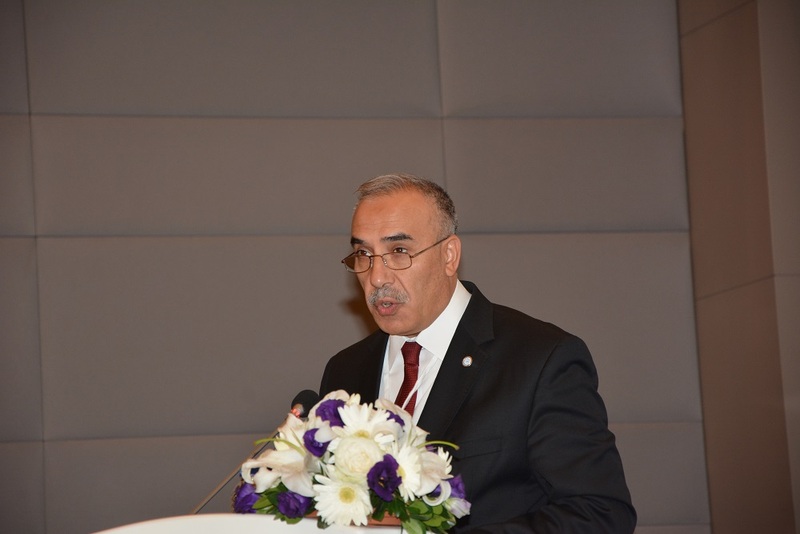 The recommendations compiled from the three day Conference will be submitted to the relevant OIC fora, including the First Ministerial Session on Safeguarding the Wellbeing and Social Security of Elderly and People with Special Needs in The Islamic World to be held in 2017 for further consideration.